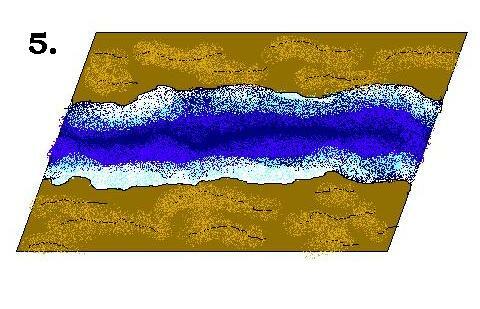 In this workshop Ill explain how to "build" a river easyly. Bevor getting started with modelling, you should arrange the boards in the order, wich the river shall be later. Then you should draw on it the course of the river bed. 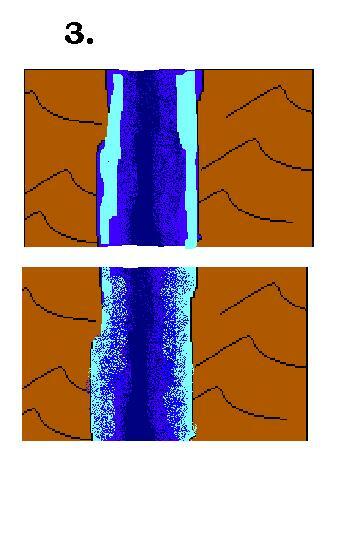 After Painting now start modelling the stuff by drawing a furrow where the river bad is supposed to be. 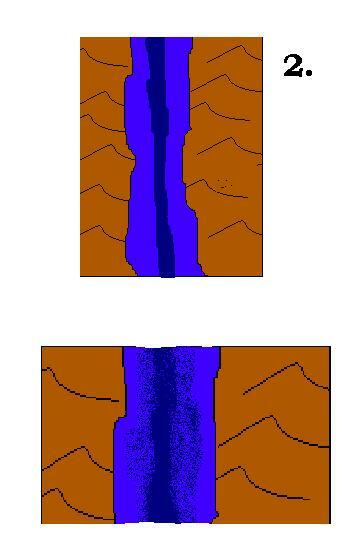 Try Modelling an edge, the river bed should be deeper than the rest of the terrain. 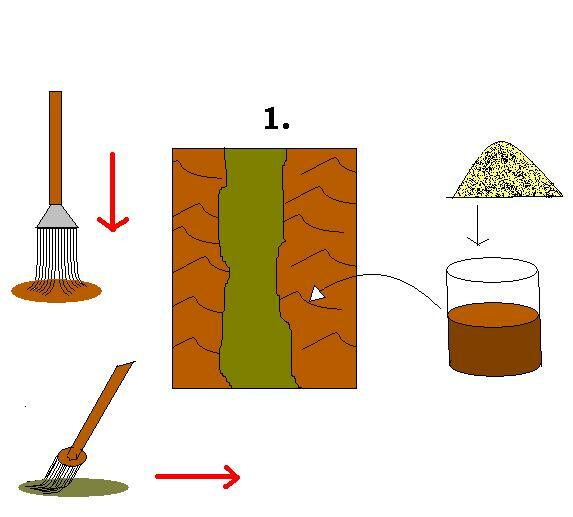 The ground on the river bank is made by dabbing a brush into the wet pulp…that creates a rough an hilly surface. Let it dry for 24 hours at least, this is important! 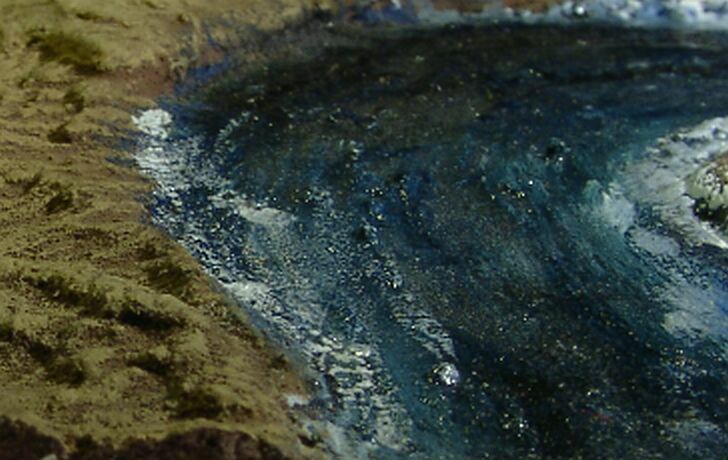 Mix a dark Blue with mid blue and black, and paint the deep regions of the river with it! Paint a bit of mid blue beside it and create runny transitions by using wet-in-wet technicque. 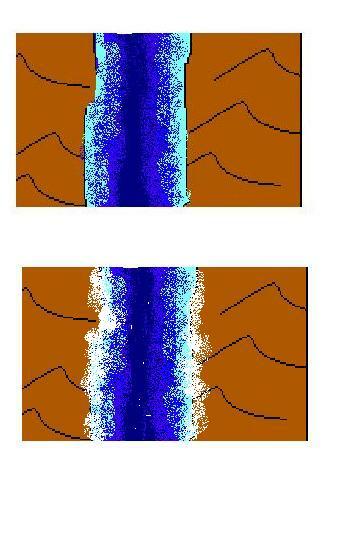 Use the same technique for the flat regions of the river, but therefore mix the mid blue with white now! Paint froth by dabbing edges of the river with white emulsion paint) Paint streamlines on the wet river with white emulsion paint , too. 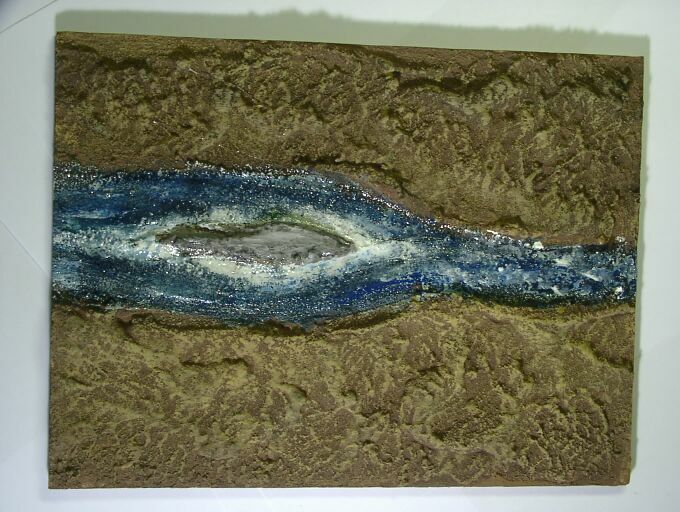 Then ink the river bank with a dark brown ink, made of emulsion paints mid brown and black mixed with water. When the inks dry, then brush the river bank with ochre brown. Now take an old brush and the liquid glue. 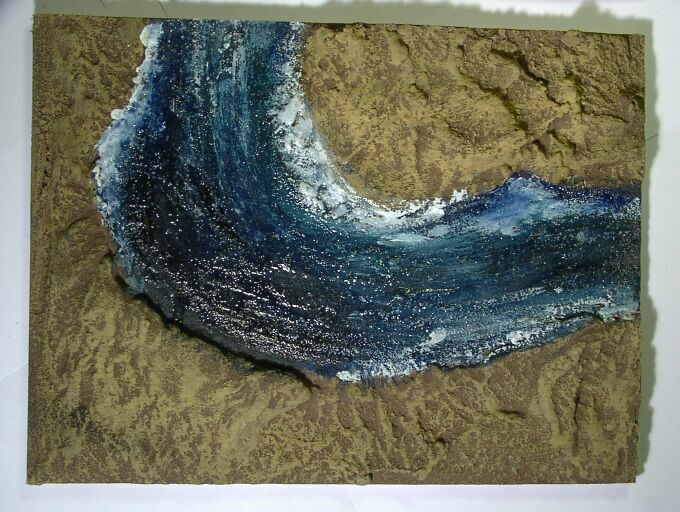 “Paint” the river with a thin layer of the glue, this gives it a quite realistic “wet-look”. For lakes or ponds just pour the glue into the prepared hole…careful it starts blistering quite quick, so use multiple layers of glue. Hope it will help you and hope for feedback.